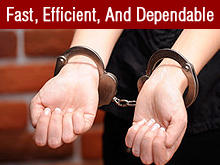 Fast, efficient, and dependable—these define the brand of excellence Metrolina Bail Bonds Service of Charlotte, NC is known for. We are your trusted bail bonds services provider, guaranteeing your satisfaction because you are our number one priority. We always strive to exceed all expectations. Contact Metrolina Bail Bonds Service today at 704-331-9652 for inquiries.